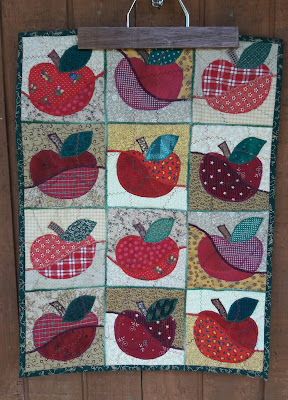 Like many of you I enjoy decorating with quilts. 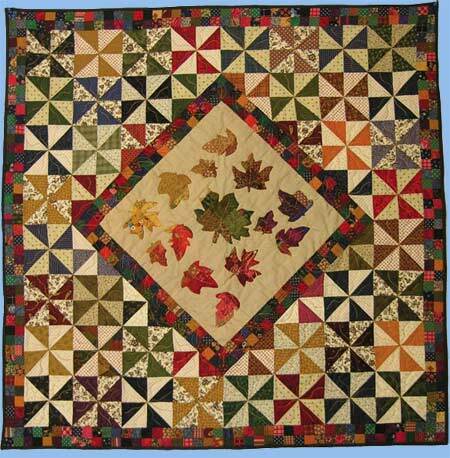 The season I have the most quilts to hang about my home is fall. I wonder if that has anything to do with the dropping temperatures? My friend. Suzy's hubby once asked her if she thought their house was cold? 'No why?' she replied. 'Because you keep putting quilts on the walls' was his response. Like Suzy I put lots of quilts on the walls in the fall. Most of them I have had for years. They bring back happy memories. The apple quilt was an exchange with friends. The other two were some of my first patterns. It's fun to see how my style has changed and how I've improved. Do you warm your house in the fall? 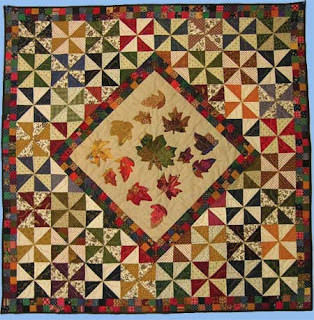 What are some of your favorite quilts to decorate with? I'd love to see them. You can leave a comment or if you like I've created a linky that I'll leave up for the week so you can share pictures that way. Looking forward to how you warm your house. Wallhangings on the walls and table toppers are the flat surfaces! 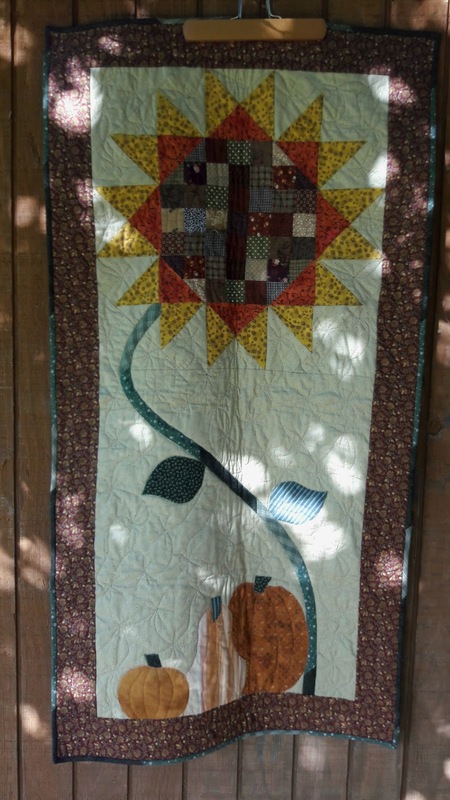 Love your version of the sunflower with it's appliqué at the bottom! I knew someone that covered her ceilings with quilt tops. She had water damage to her ceiling and could not afford to have it fixed. So she wasn't using them to warm her house but another use.